Hans Kalm (21 April 1889 – 1 February 1981) was an Estonian soldier and doctor who served in the armies of Russian Empire, Finland and Estonia. Kalm was born to a farmer's family in the village of Kotsama in Viljandi County. His last name is connected with the old Finno-Ugric word "kalma", meaning "death". According to a family legend, one of Kalm's forefathers survived the Black Death by hiding in a remote cemetery island and therefore changed his name. Kalm was recruited by the Imperial Russian Army in 1914 and fought in the First World War in the Gulf of Riga. After the 1917 Russian Revolution he fled to Finland and joined the White Guards. In the 1918 Finnish Civil War he led a battalion mostly composed of the students of two park ranger colleges from Ähtäri and Evo. Kalm's battalion became infamous in March as they attacked a Red Guard sanatorium in the village of Harmoinen in Kuhmoinen municipality, killing 11 wounded soldiers and two nurses. After the war, his battalion was in charge of the Hennala prison camp in Lahti. In a short period in May, more than 500 Red prisoners were executed, including some 200 female fighters. Most of them were raped before the shooting, the youngest being only 14-year-old girls. It is most likely that Kalm himself shot the Red leader Ali Aaltonen. Kalm resigned the White Army in July 1918 and left for Estonia, where he became the commander of the Pohjan Pojat regiment fighting in the Estonian War of Independence. It was a unit composed of Finnish volunteers. Pohjan Pojat was disbanded in May 1919 and Kalm returned Finland. In 1923–1933 he lived in the United States studying medicine and working as a doctor in New Jersey and New York. He was granted United States citizenship in 1930. Kalm returned to Finland again in 1934 and settled in Rauma in Western Finland. He was interested in alternative medicine like naturopathy, orthopathy, and homeopathy and even ran a spa. As Finland joined the Second World War, Kalm was briefly the commander of a POW camp in Pieksämäki. He was released in October 1941 and sent to Germany to study military health issues for the Finnish Army. 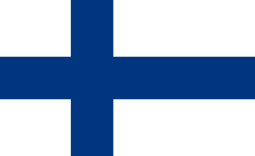 During the war, Kalm was also active in the Finnish Nazi organization Suomen Kansallissosialistinen Työjärjestö (KTJ). To avoid being arrested for his misconduct at the Pieksämäki prison camp, Kalm fled to the United States via Sweden in 1946. According to his own story, Kalm worked as a cardiac specialist in Aiken County, South Carolina and later studied surgery in Mexico. In 1957 Kalm returned to Finland to practice homeopathic medicine. His doctor's license was finally cancelled in 1974 as Finnish authorities found out that Mid-West Medical College, where Kalm had graduated in 1933, was not approved by the American Medical Association. Hans Kalm spent his last years with his son's family in Jyväskylä and died in 1981. ↑ Heinämäki, Jaakko: ″Hans Kalm: vapaussoturi ja vaihtoehtolääkäri″, p. 11–13. Minerva Kustannus, 2007. ISBN 978-952-492-003-2. ↑ Kalm, Hans (1889 - 1981) (in Finnish). Finnish National Biography. Retrieved 10 July 2015. 1 2 3 4 Hans Kalm (1889–1981) – virolaissuomalainen sotilas ja vaihtoehtolääkäri (in Finnish). Arno Forsius. Retrieved 10 July 2015. ↑ Ekberg, Henrik: ″Führerns trogna följeslagare. Den finländska nazismen 1932–1944″, p. 172–174. Schildts, 1991. 951-50-0522-1.